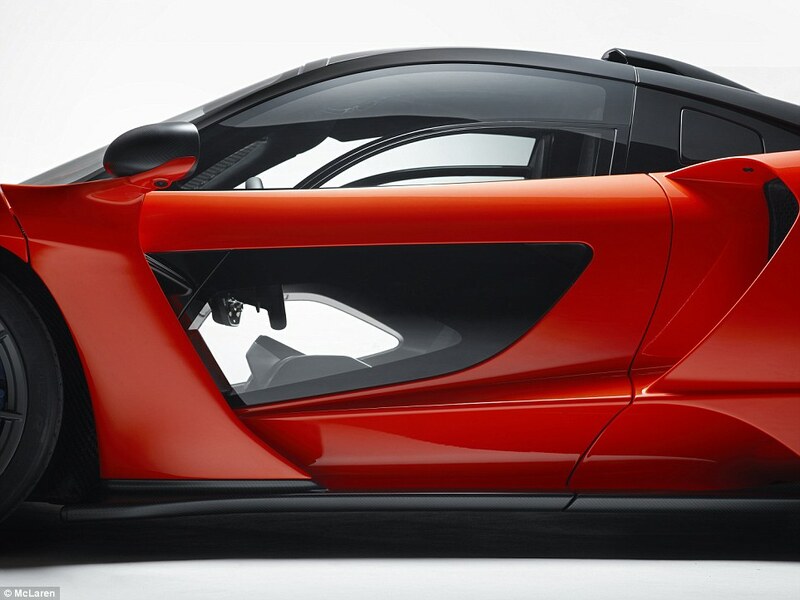 This is McLaren's bonkers new hypercar - a model that's so wild you'll be able to watch the tarmac rush past in a blur at more than 200mph via see-through panels in the doors. 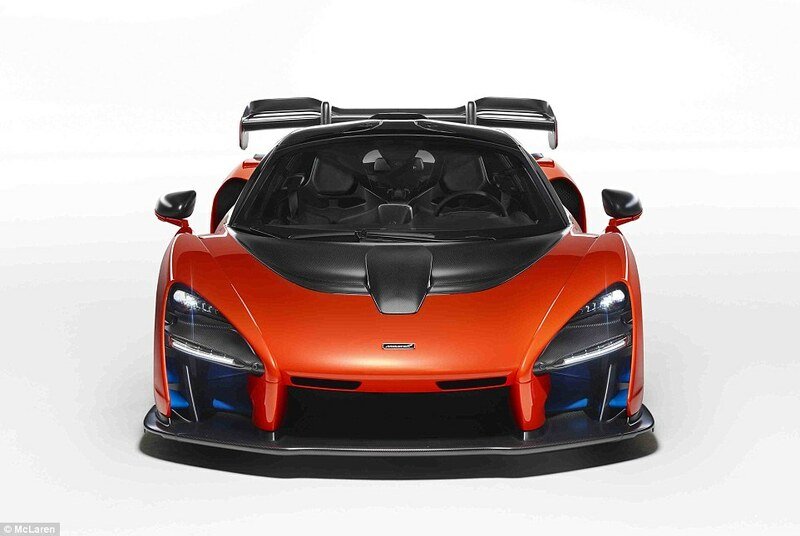 It's a British hypercar that's been named after the late Brazilian three-time Formula One champion Ayrton Senna - the brand's most iconic driver - with some of the proceeds of its £750,000 price tag being donated to his charity to support underprivileged children in his home nation. Just 500 will be made (and all have already been sold) and - as the extreme bodywork suggests - it has been created for the super-rich to tear-up race tracks in their spare time. 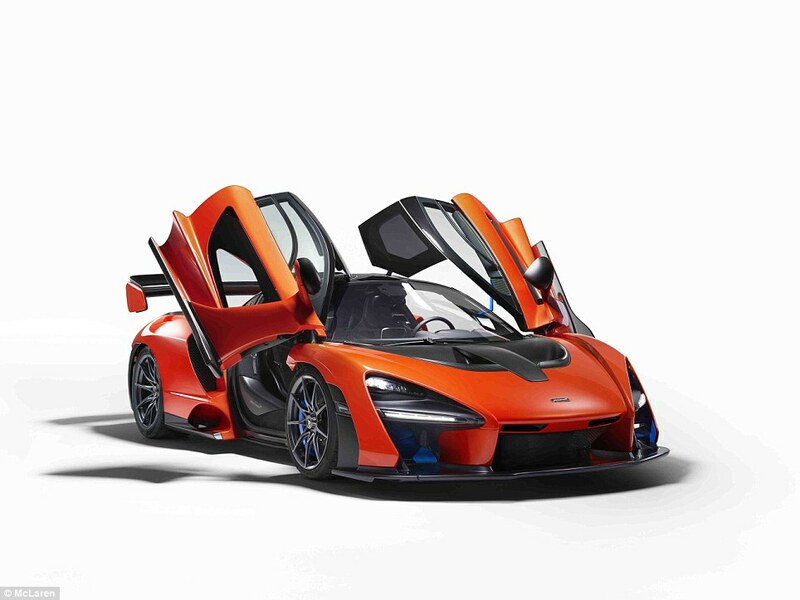 The Senna is the second car in McLaren's 'Ultimate Series' range alongside the £866,000 P1 and the forth-coming BP23 three-seater, which is expected to be a modern take on the famed F1 from the '90s. 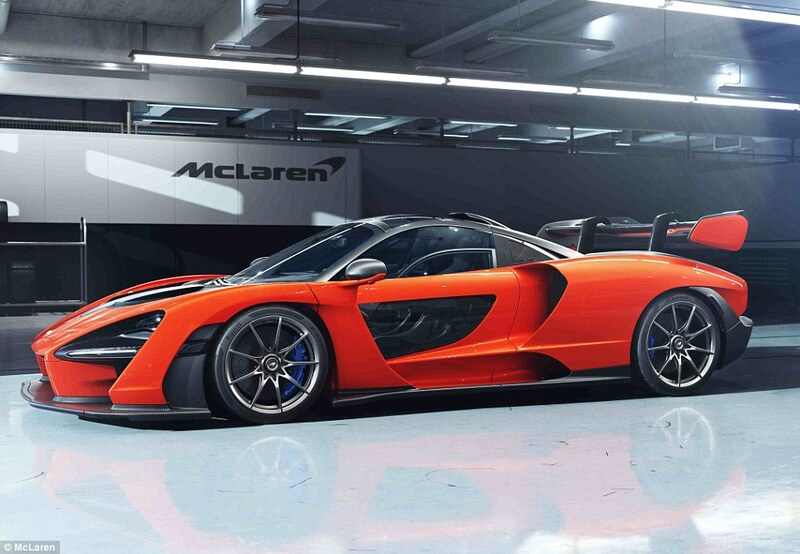 With its twin-turbo V8 engine producing a staggering 789bhp, it's 62bhp more than the V8 motor in the P1, though the latter retains the claim of being the most potent McLaren to leave the factory with number plates and indicators thanks to it's hybrid combination putting out 903bhp in total. 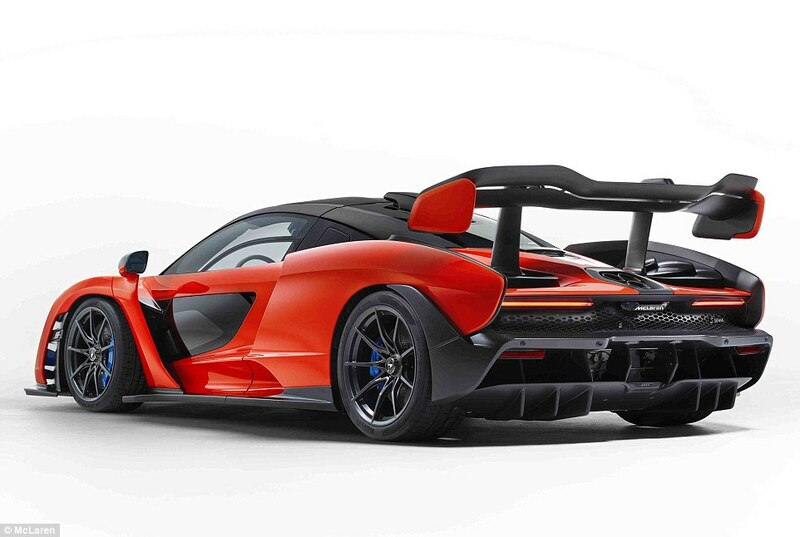 The horsepower figure of the Senna is also a like-for-like match for Ferrari's £1million LaFerrari's V12 grunt, pitching the on-track rivals head-to-head in a battle that transitions from the tunnel at Monaco to the Dartford Crossing on the M25. 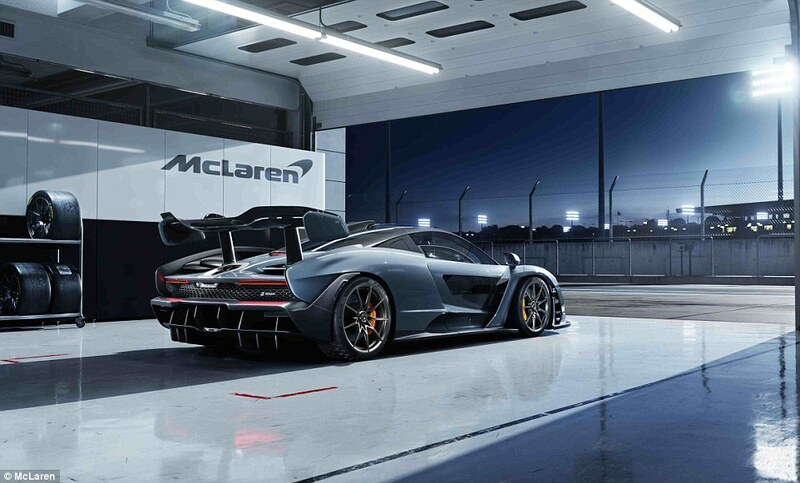 During the glitzy launch at its Woking headquarters on Saturday evening, bosses said it was the 'lightest, fastest and most engaging McLaren yet' and held no punches about where they see it being used most often. 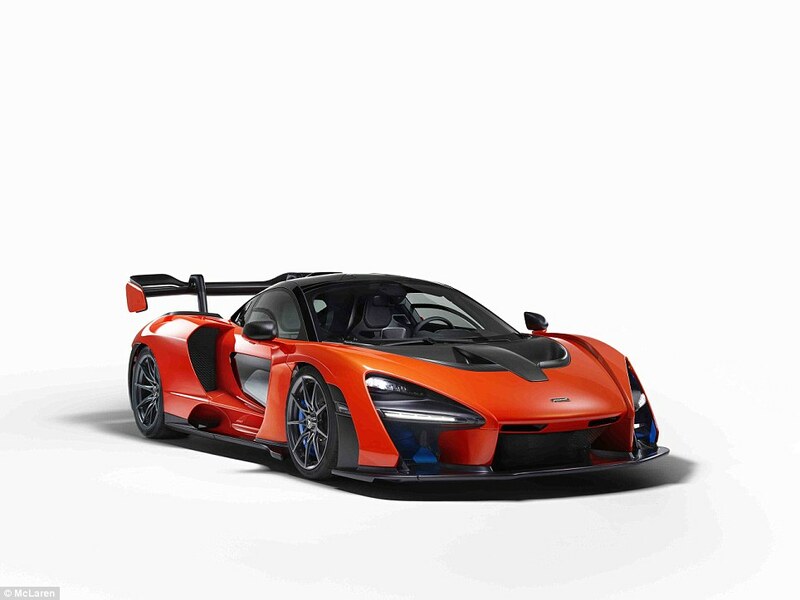 In the words of chief executive Mike Flewitt: 'The McLaren Senna is a car like no other: the personification of McLaren’s motorsport DNA, legalised for road use but designed and developed from the outset to excel on a circuit. 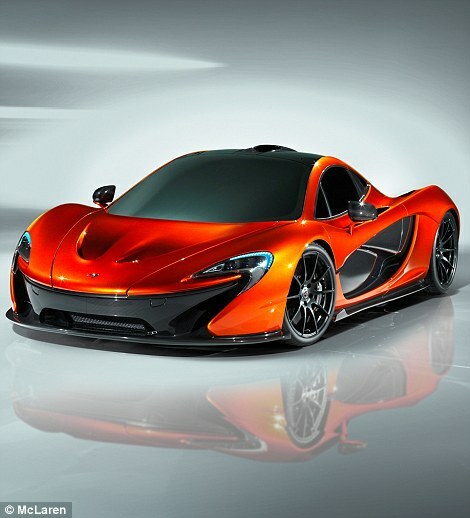 Looking at the specification of the hypercar, we believe what he said. The body, which is made entirely from lightweight carbon-fibre has been molded into a 'teardrop' shape for the most aerodynamic performance. Chiseled into the flanks are deep gulleys designed to channel air down the sides of the vehicle and gaping vents and a roof funnel to cool the high-performance 8-cylinder motor. 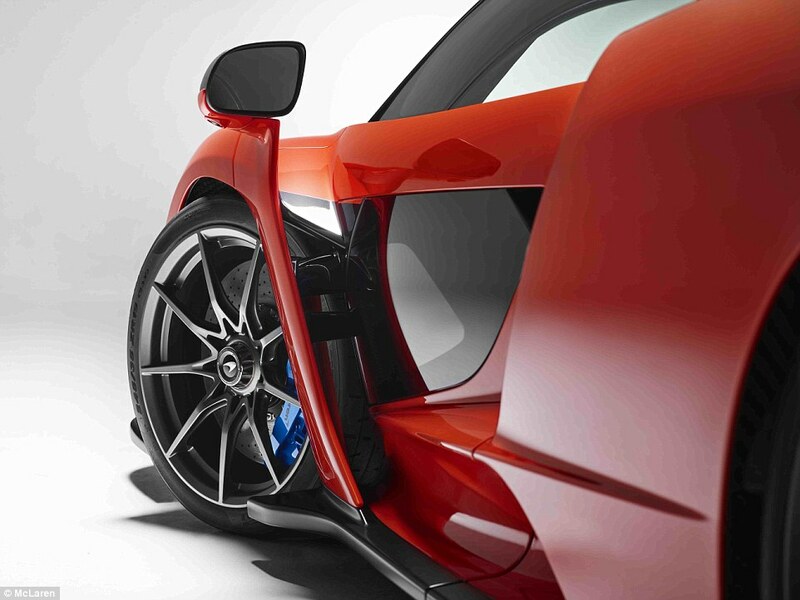 As with the other Ultimate Series car in the current range, it gets McLaren's own designed dihedral doors, though this time with an additional feature. If you're happy to pay extra for it, the British-based car maker will fit the lower parts of the door panels with glass inserts. Why? So that you can see the apex at the race track you're driving it on, ensuring you don't cut and corners and clip an apex with professional racer-like accuracy. It should also help when trying not to kerb a wheel when parallel parking and squeezing through width restrictions. 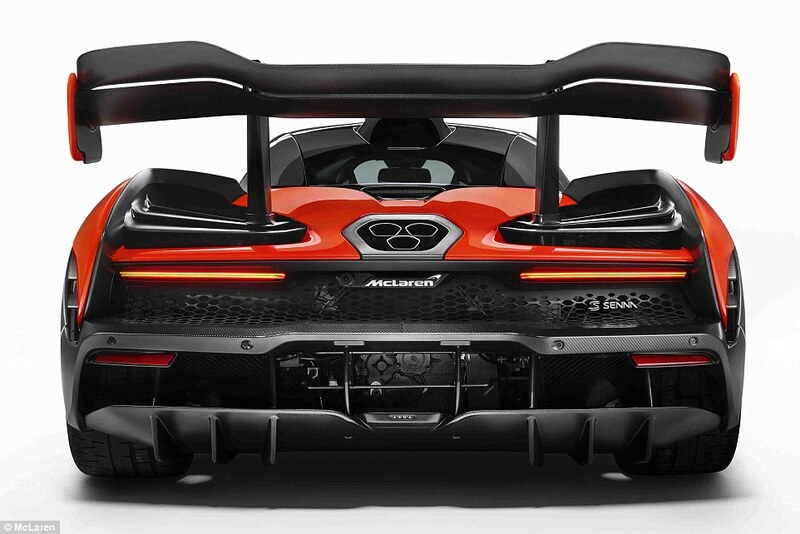 Move to the back of the car and you'll find no less than three exhaust outlets sandwiched between a bench-sized carbon rear wing and a gigantic double diffuser that work in unison to keep your three-quarters of a million pound car planted into the road surface. Both the wing and diffuser are active - the wing is hydraulic and can tilt to adjust downforce and aero to act like an airbrake to stop the car quicker, while the diffuser adjusts between two difference heights to hunker the rear of the car into the ground for maximum traction purchase for the chunky, custom-made, Pirelli P-Zero Trofeo rear tyres. 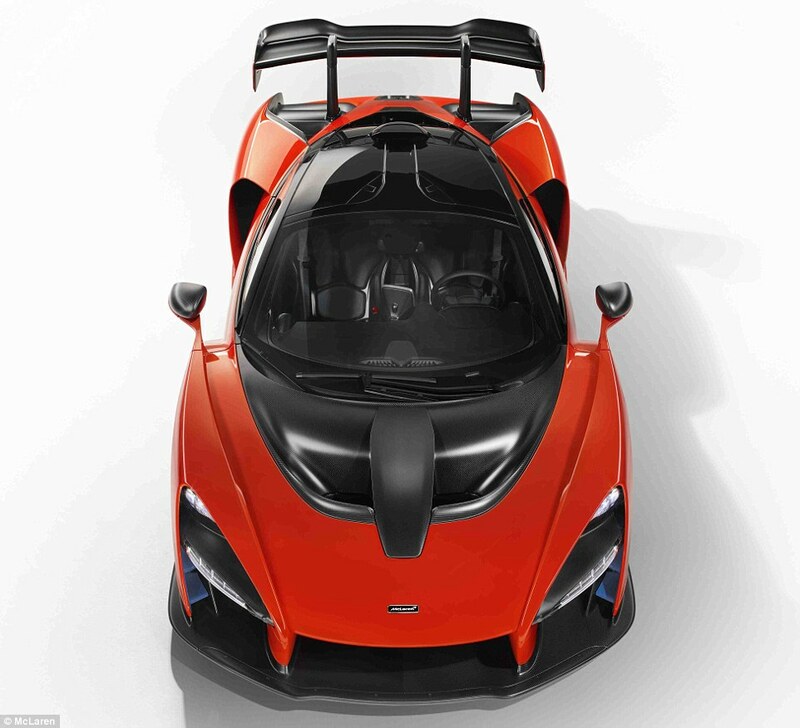 The featherweight construction means the Senna tips the scales at a staggering 1,198kg - about the same as a Ford Focus - and packs an astonishing power-to-weight ratio of 658bhp per tonne that makes the P1 sound somewhat porky in comparison. Andy Palmer, vehicle line director - and not to be confused with the Aston Martin boss with the same name - glowed about the new vehicle, saying it 'delivers true performance, all the way to the limit of a driver’s ability', suggesting it should be easier to drive than it looks so that you too can dance it around a soaked Silverstone like the great man himself. 'With a truly astonishing power-to-weight ratio, this car is about performance that is accessible and attainable, yet at the same time exciting and challenging for the very best drivers in the world – and with an intense, sensory experience to match,' he explained, though we're not sure we'd want to push our limited-edition £750,000 hypercar quite that close to the edge. 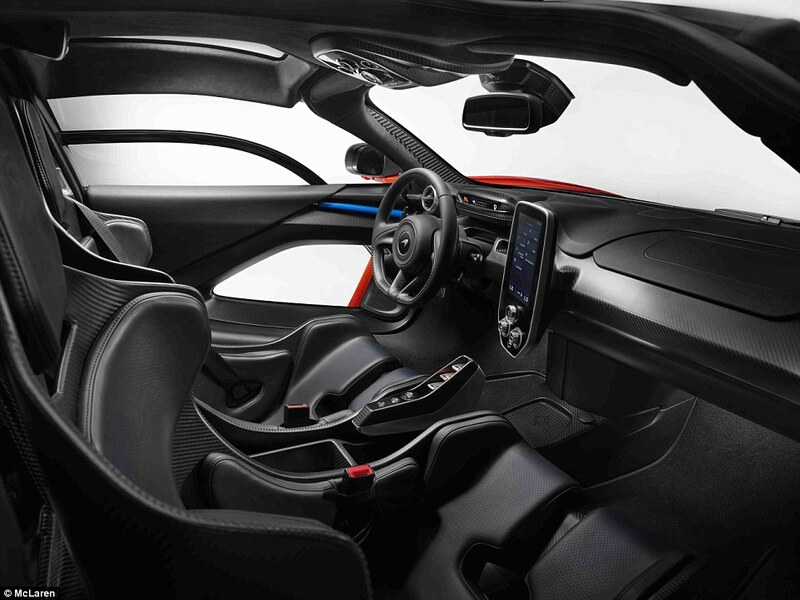 Inside, the Senna is as stripped down as you can get, with some very unique placements for key functions. 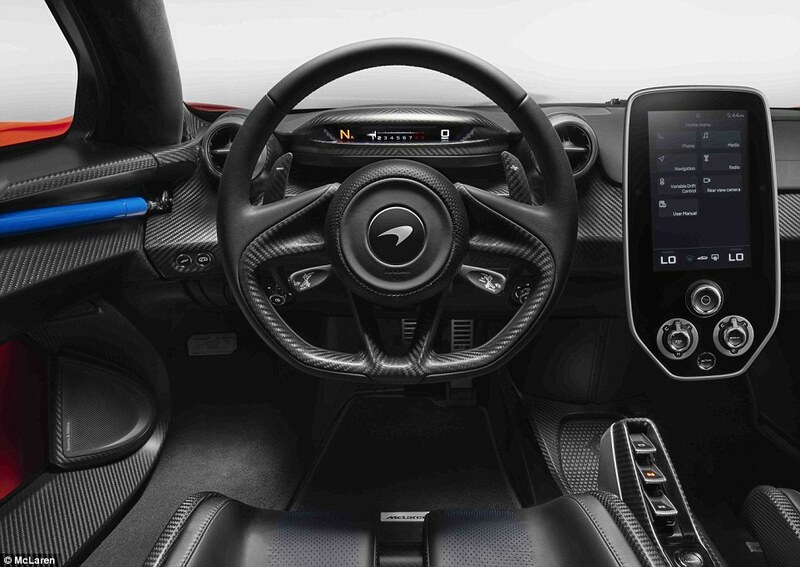 For instance, the door handles, electric-window switches and engine start button can't be found in the centre console - all have been relocated to a panel in the roof, freeing up the dashboard for a single panel with temperature controls and a portrait-mounted infotainment screen. 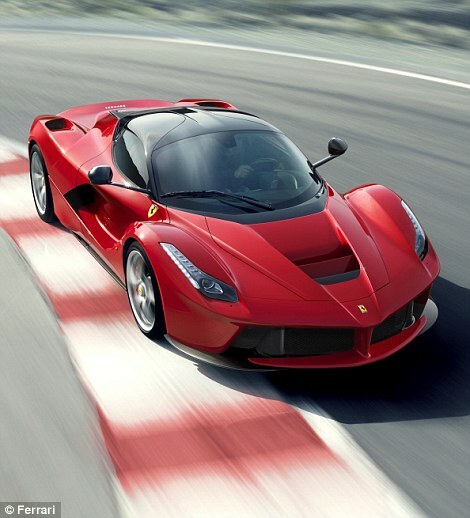 So if it matches the LaFerrari for power output, does that mean it's just as quick around a circuit? 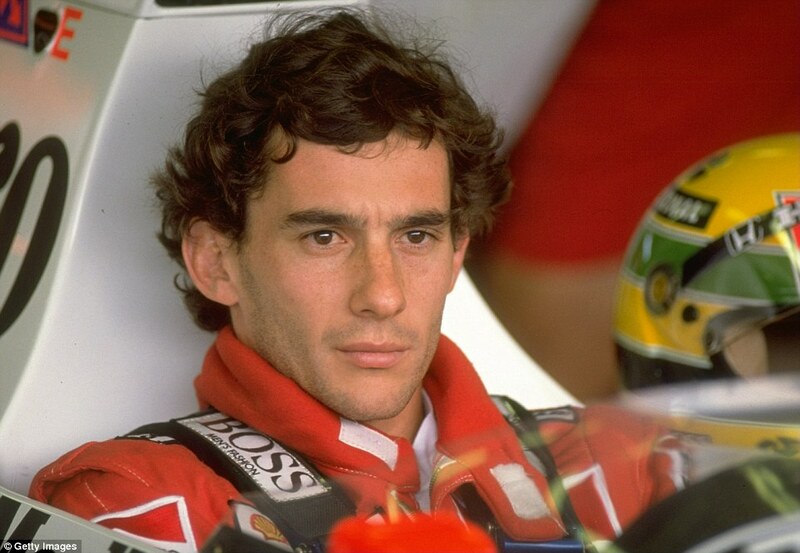 Well, we don't know that yet, as McLaren has yet to release any of the performance figures. That means there's no clarification about acceleration and top speed times, or how quickly it can be navigated around the challenging Nurburgring circuit. 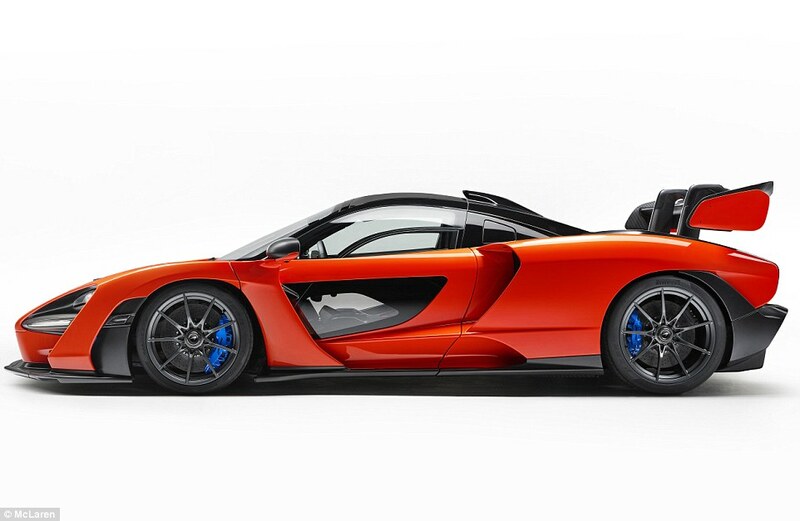 That said, it will undoubtedly blitz 200mph and clock 62mph from a standstill in less than three seconds. 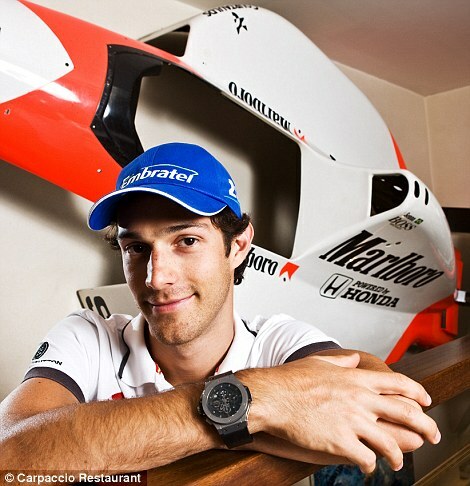 Speaking about the car, the nephew of the great F1 champion and former Formula One driver, Bruno Senna, said the family was 'extremely proud' that the car had been named after this celebrated uncle. 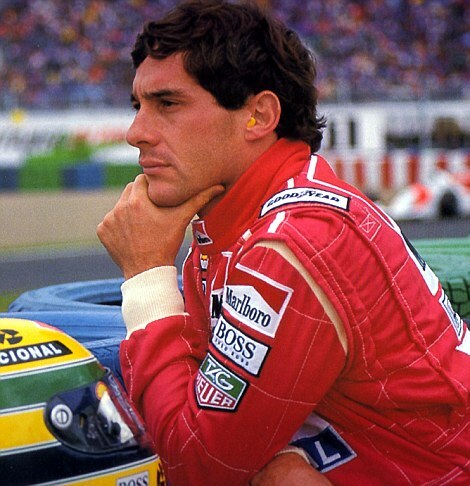 'This is the first project that really connects with Ayrton’s racing spirit and performance,' he said. 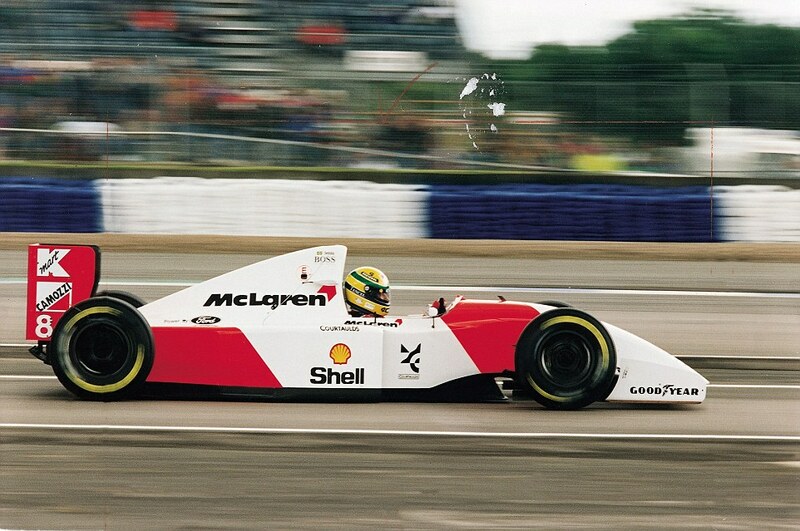 'The McLaren Senna honours my uncle because it is so utterly dedicated to delivering a circuit experience that allows a driver to be the best they can possibly be. Production of the 500 cars won't commence until the third quarter of next year, with each one being hand-built at the state-of-the-art facility in Woking, Surrey where a lot of the design work has been conducted using the brand's in-house road-car simulator. Every single one has been sold already, with the final model available going to auction on the night of the official unveiling, raising £2 million - more than twice the price the other 499 customers had to pay. Great overview, Stephen. Thank you for sharing. Through I'm in love with my Honda S2000, but the aim to get some new car for racing is a compulsive idea. Hope one day my career advice will bring me enough money to buy such bird.